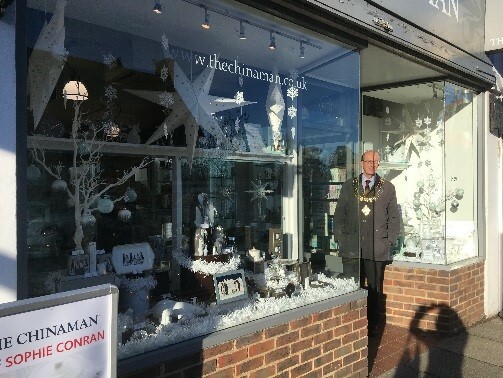 The Mayor of Sevenoaks Cllr Roderick Hogarth and the CEO of the Sevenoaks and District Chamber of Commerce Julie Phillips paced the streets of Sevenoaks last week in search of the best dressed window display. 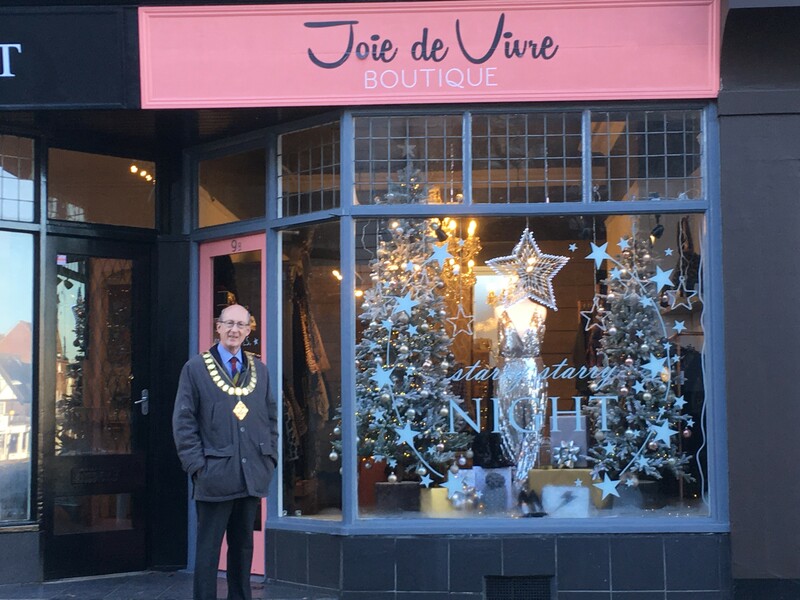 Many shops and businesses were visited, and it was fantastic to see so many businesses helping making our high street and surrounding areas look festive. 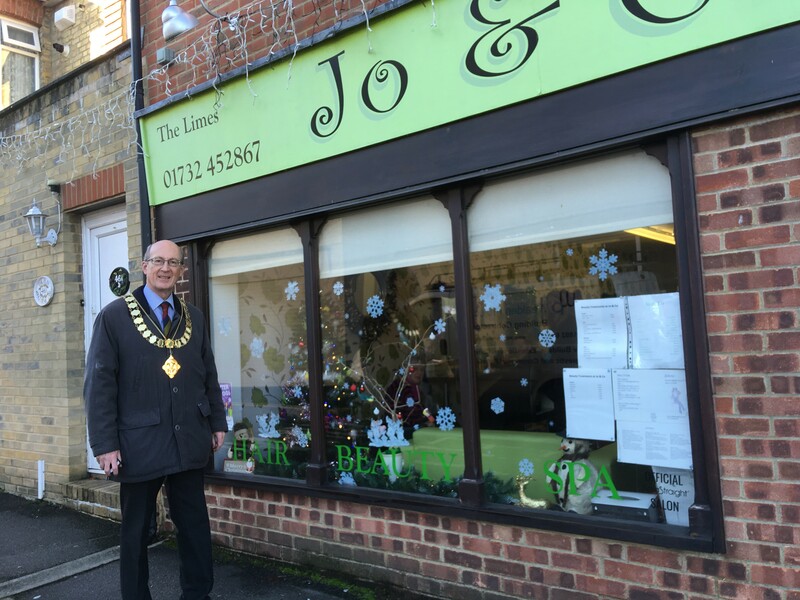 The winners were announced this morning when the Mayor and Chair of the Chamber of Commerce presented the prizes to the worthy winners! 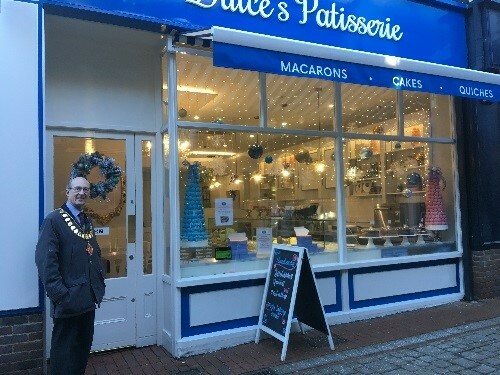 The winners of the two categories have the opportunity of a free ad on the Community Advertising screens at Sevenoaks mainline Station and the Stag Foyer for one month, with the runners up receiving a bottle of bubbly and a certificate.